One of the most awaited comedies of the year, Housefull 2 is slated to release on April 5. The film, directed by Sajid Khan, stars the trio of Akshay Kumar, John Abraham and Ritesh Deshmukh. There are four leading ladies—Asin, Jacqueline Fernandez, Zarine Khan, and Shazahn Padamsee. 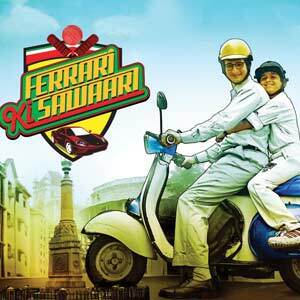 Another biggie scheduled for an April 25 release is Vidhu Vinod Chopra’s Ferrari Ki Sawaari. The movies marks Sharman Joshi’s debut as a leading man. The film is in the news for another reason—an explosive item number by the flavor of the season, Vidya Balan. 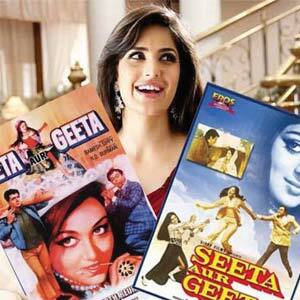 Katrina Kaif is all set to step into Hema Malini’s shoes in the much awaited remake of Seeta Aur Geeta, which had run into legal trouble. The new version, which will go on the floors soon, also stars Akshay Kumar and Abhay Deol. Kiera Chaplin, granddaughter of the legendary Charlie Chaplin, is making her Indian debut with Rajshree Ojha’s English language film, Chaurahen. The movie which is set to release in India, has an ensemble cast of Soha Ali Khan, Victor Banerjee, Zeenat Aman and of course, Kiera.